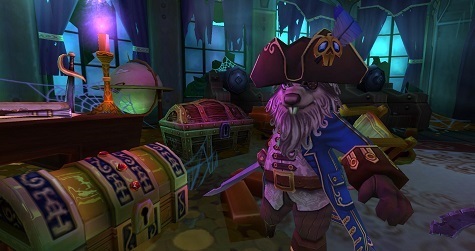 Attention fans of Pirate101! KingsIsle will soon be bringing you an all new Test Realm to test out a brand new “Advanced Companions” system that will be bringing your game to all new levels of strategy. In essence, this update brings the culmination of the Companion system – Companion Benching Tokens that took your Companions out of the action will now be a thing of the past as your pirate can make every one of your Companions useful, regardless of the Companion's level or combat stats! All classes will also be getting a brand new Companion to journey with them alongside the plethora of colorful Companions already obtained through the course of regular gameplay. First things first! When you first log in after this update, you’re going to immediately receive a one-time bonus of a number of Companion training tomes equal to the number of Companions you own! Congratulations! We want to make sure your Companions are ready for action, so take this important opportunity to help get started right. Orders are the heart of the new Companion system - whenever a Companion isn't eligible for combat, they’ll be able to perform jobs that can earn companion experience, gold, nautical experience, items, and more! In addition to these upgrades, you’ll also notice changes in Companion management revolving around combat. The first three Companions on your roster will now always appear in combat, but these Companions suffer new consequences if they are defeated in battle. Companions can now be wounded, and they must either wait until they are fully healed or be cured by Miracle Mitch, a new NPC in Avery’s Court to get back in action quickly, but for a price. Get ready to take control of your crew and manage them like the pirate captain you are! At the heart of Companion Management 2.0 is a fundamental change: Companion selection in combat is no longer random. Removing random selection also makes it possible to set which Companion always goes second, third, and fourth in the round, based on their place on your Companion roster. As Captain of your crew, you still go first each turn. Instead of benching your Companions, now you can put your crew to work! Instead of appearing in combat, your Companions can now perform tasks by following your pirate's orders. Open your Companion management screen by pressing “u” and select a Companion who doesn't look busy. Click the orders button, select the task you want the Companion to do and click the Start button. Orders take time to complete - the countdown will appear on the Companion’s portrait in the Companion Management Screen. Your Companion can’t fight until the task timer expires. Companions must be at least 8th level before they can take special orders. If all your Companions are on bed rest or following orders, you can cancel the task or skip to the end by clicking the Finish Task button on a Companion. Finishing a task early incurs a Crowns fee. Thanks for all the extra loot, Ratbeard! Your Companions’ new abilities are accompanied by new risks: a Companion’s defeat in combat now has a potentially greater impact. Defeat in combat leaves a Companion Wounded, with an automatic order of bed rest. At early levels, bed rest will be too short to even notice or nothing more than a quick nap, but at higher levels your Companions can be out of commission for a lot longer. Companions in Bed Rest cannot appear in combat - the next Companion down on your roster after all your active Companions will appear in their place. You can choose to wake your Companions from Bed Rest early by cancelling their Bed Rest orders, but they will suffer penalties in combat. The more times they've been wounded without recovering, the worse the penalties become, but a Companion can have no more than three wounds. Life Fountains will no longer revive your Companions from their wounded status. To heal a Companion’s wounds, you’ll need to either wait for the timer to expire or make a visit to Miracle Mitch in Avery’s Court. 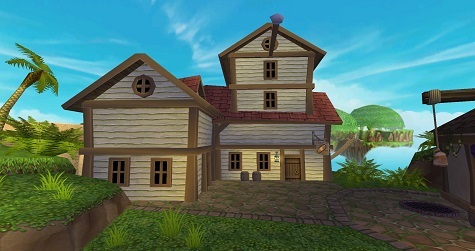 Miracle Mitch is a new NPC who occupies a brand new building beside the Swashbuckler Trainer’s house. Miracle Mitch can to remove your Companion's wounds, but his cures require expensive ingredients - Mitch passes the cost on to you, demanding gold in exchange for his services. As your Companions advance in levels, healing their wounds will get more expensive. Players will receive a quest around level 4 to take a special class Companion into your crew. These Companions are exclusive - they do not have variants anyone can purchase in the Crown Shop and are designed to enhance and complement the play style of your pirate's class. Get to know your new friends! Musketeer: Chantal Livingstone—Colorful daughter of an old friend of Ol’ Fish Eye. Swashbuckler: Fan Flanders—Famous frog thief recently escaped from Newgate Prison and friend of Morgan Lafitte. Witchdoctor: Carcarius Grimtooth—The greatest shaman of the Grimtooth Clan. Buccaneer: Peter Quint—Bounty Hunter Pelican of Skull Island and associate of Mordekai. 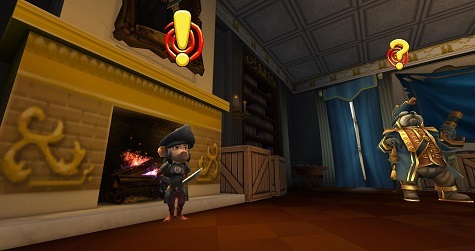 Privateer: The Marchioness—Monquistan Privateer out to strike a blow against the tyranny of the aristocracy.